tentative tentacles, hair share, log ladies and bathing beauties. part of a little series of "twins". 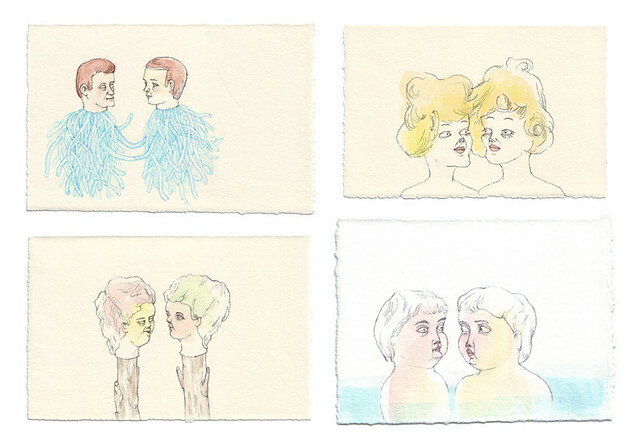 these four small drawing are for sale in the shop along with some new collaborative work!